This Is Our Bolt -in/Drop-in/Resembles Original Style Extreme Heavy Duty Aluminum Radiator Assembly for Gen III Hemi Installations. 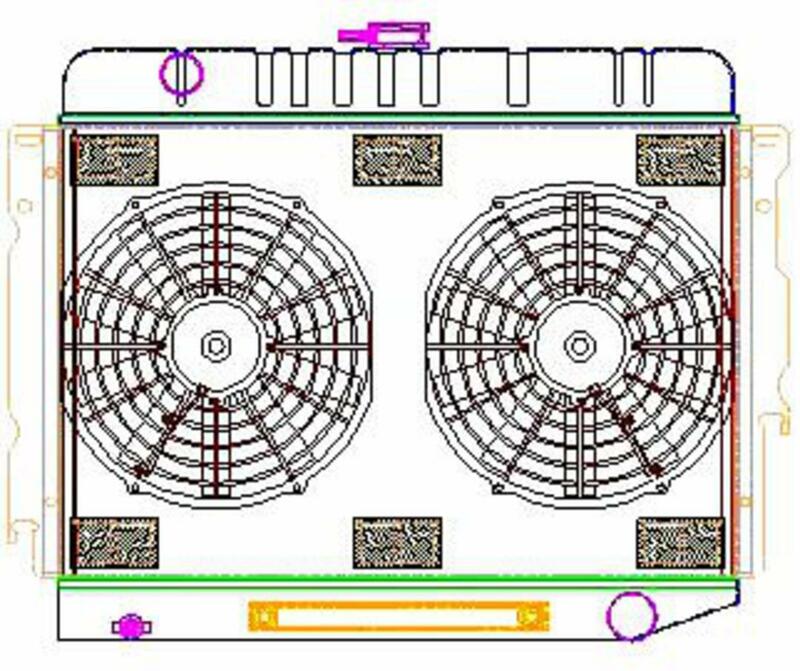 It comes complete with Custom Aluminum Shroud with HD SPAL Fan, Electronic Fan Controller and Sender, and Air By Pass flaps already assembled and installed. Just wire your controller and mount your sender and you are done. Radiator Core support Opening is 26". 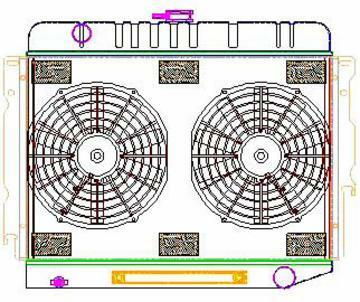 Comes with our "State of the Art" 2 Row X 1 1/4" Core for Excellent Cooling Ability. The Top Tank Resembles the Old Style Blackstone Tank found on most Older Muscle Cars.